Photo courtesy of Francheska Alcantara. Does the pubic have a right to culture? What public and what culture are we talking about, and how far does this right extend? 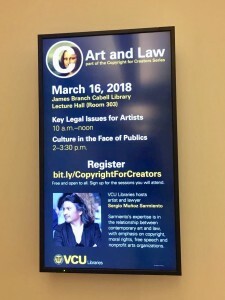 How can the law be used to restrict, limit, or facilitate the public’s access to cultural works, and what other non-legal barriers to access exist? How can academic and other cultural institutions with missions to provide access to and promote engagement with art and cultural works navigate these questions? The talk will take place at 2pm at the James Branch Cabell Library. More information on the event may be found here. 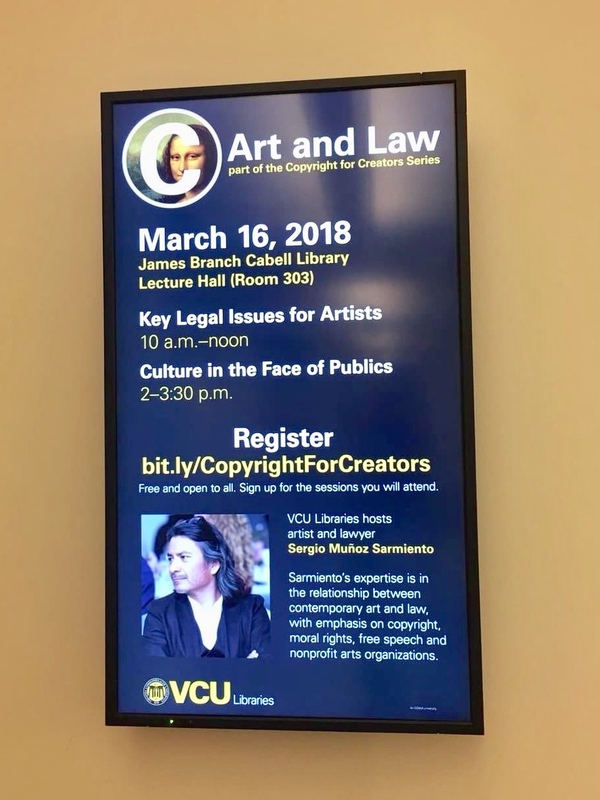 This entry was posted on Wednesday, March 7th, 2018 at 11:31 am	and is filed under Art Law, Copyright, Education, Free Speech, Moral Rights, Nonprofit, Property. You can follow any responses to this entry through the RSS 2.0 feed. Both comments and pings are currently closed.